Want to learn more about Entomophagy? These are the top 10 books you should read about edible insects. Below are the books I think you need to have or at the least read. Published by the Food and agriculture organisation of the united nations in 2013 and downloaded over 2 million times. This is FREE PDF has been responsible for more Ento businesses starting than any other book. It can be a bit dry in parts with lots of figures and graphs but if you have seen any of the pictograms or quotes about the amount of feed or water required for livestock the chances are they would have originally been in here. The concept of eating insects has taken off in recent years in the West, with media coverage ranging from sensationalist headlines to passionate press pieces about the economic benefits. Yet little has been written about how they taste, how diverse they are as ingredients, and how to prepare them as food. On Eating Insects is the first book to take a holistic look at the subject, presenting essays on the cultural, political, and ecological significance of eating insects, alongside stories from the field, tasting notes, and recipes by the Nordic Food Lab. Today, there are more reasons than ever before to explore entomophagy (that’s bug-eating, by the way). It’s an environmentally-friendly source of protein: Research shows that bug farming reduces greenhouse gas emissions and is exponentially more water-efficient than farming for beef, chicken, or pigs. Mail-order bugs are readily available online–but if you’re more of a DIY-type, The Eat-A-Bug Cookbook includes plenty of tips for sustainably harvesting or raising your own. Eat Grub features more than 55 exciting recipes using a variety of bugs, from grasshoppers to mealworms. It takes its inspiration from cuisines around the word to present a range of small plates, meals, desserts and even cocktails using whole and ground insects. It teaches you how to use insect flours to make healthy, gluten-free and protein-rich dishes, and how to puree, bake and grind various insects making them versatile to use. Entomophagy – eating insects – isn’t a new phenomenon. We’ ve eaten bugs for centuries, and many countries around the world continue to enjoy them in modern cuisine. But insect eating is currently experiencing a rise in popularity. Restaurants are dishing up insects, the UN is publishing reports on the merits of insect-heavy diets and the Nordic Food Lab is exploring how delicious insects can be. The media is now talking about the ethics, the eco and health benefits, and the economic sense behind incorporating entomophagy into our lives. 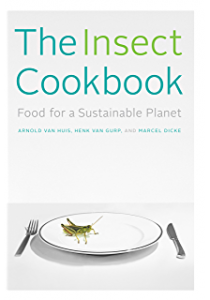 The Definitive Guide to Insects as a Sustainable Food Source In The Insect Cookbook, two entomologists and a chef make the case for insects as a sustainable source of protein for humans and a necessary part of our future diet. They provide consumers and chefs with the essential facts about insects for culinary use, with recipes simple enough to make at home yet boasting the international flair of the world’s most chic dishes. “Invite politicians to dinner and let them tell the world how delicious it is…They will proudly go around and say, ‘I ate crickets, I ate locusts, and they were delicious. '”-Kofi Annan The Insect Cookbook features delicious recipes and interviews with top chefs, insect farmers, political figures, and nutrition experts, including chef Rene Redzepi, whose establishment was elected three times as “best restaurant of the world”; Kofi Annan, former secretary-general of the United Nations; and Daniella Martin of Girl Meets Bug. The book contains all you need to know about cooking with insects, where to buy them, which ones are edible, and how to store and prepare them at home and in commercial spaces. Meet the beetles: there are millions and millions of them and many fewer of the rest of us ― mammals, birds, and reptiles. Since before recorded history, humans have eaten insects. While many get squeamish at the idea, entomophagy ― people eating insects ― is a possible way to ensure a sustainable and secure food supply for the eight billion of us on the planet. Once seen as the great enemy of human civilization, destroying our crops and spreading plagues, we now see insects as marvellous pollinators of our food crops and a potential source of commercial food supply. From upscale restaurants where black ants garnish raw salmon to grubs as pub snacks in Paris and Tokyo, from backyard cricket farming to high-tech businesses, Eat the Beetles! weaves these cultural, ecological, and evolutionary narratives to provide an accessible and humorous exploration of entomophagy. Eating Insects. Eating Insects as Food. Everything you need to know about eating insects and more. Guaranteed to answer all your questions, this book is a must have for anybody passionate about eating or breeding insects. The author, Elliott Lang tried eating insects for the first time on holiday in Thailand and loved them. He couldn’t find any good book about it and decided to write a book himself and so started to explore the world of eating insects. Edible insects and bugs, insect breeding, most popular insects to eat, cooking ideas, restaurants who serve insects and where to buy insects all covered. Including which insects are most popular to eat and tips on preparing insects for cooking The book is written in an easy to read and understandable style. 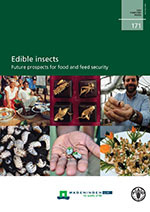 Insects as Sustainable Food Ingredients: Production, Processing and Food Applications describes how insects can be mass produced and incorporated into our food supply at an industrial and cost-effective scale, providing valuable guidance on how to build the insect-based agriculture and the food and biomaterial industry. Editor Aaron Dossey, a pioneer in the processing of insects for human consumption, brings together a team of international experts who effectively summarize the current state-of-the-art, providing helpful recommendations on which readers can build companies, products, and research programs. Researchers, entrepreneurs, farmers, policymakers, and anyone interested in insect mass production and the industrial use of insects will benefit from the content in this comprehensive reference. The book contains all the information a basic practitioner in the field needs, making this a useful resource for those writing a grant, a research or review article, a press article, or news clip, or for those deciding how to enter the world of insect based food ingredients.